Flourish subscription bouquets are our way of sharing the bounty of the gardens with you! CSA stands for Community Supported Agriculture; a movement characterized by local farmers and community members supporting each other by sharing local resources. We offer CSA bouquets harvested directly from our farm each week throughout the growing season. These bouquets showcase all our farm favorites as they take their turn blooming in the field- tulips, peonies, larkspur, sunflowers, dahlias, and more! Half the fun is not knowing what you’ll get from week to week! For a taste of the colors and varieties coming out of our fields throughout the season, visit our Locally Grown Flowers page. 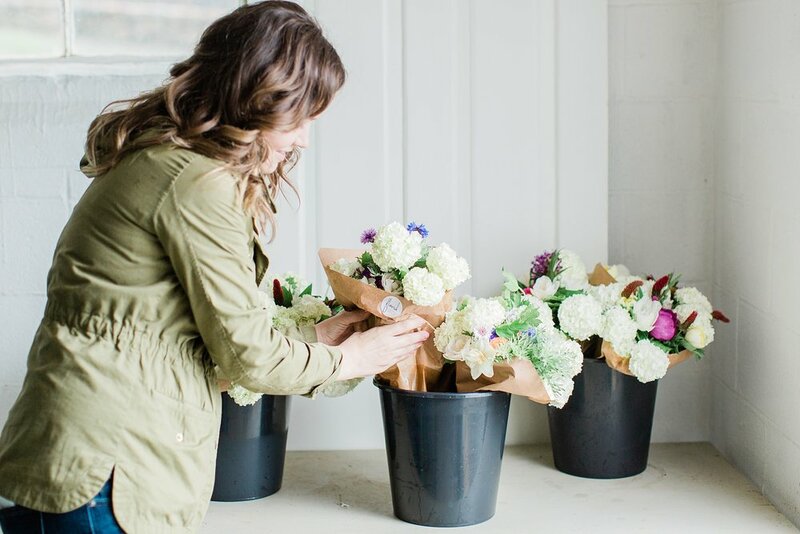 You can sign up for either a whole season or half season (Spring or Fall) share, which qualifies you to pick up a bouquet every week for the duration of your share. Your bouquet will be available on Thursdays at one of our pick up locations throughout the county. To order yours and choose your pick up location, visit our Shop page by clicking below!